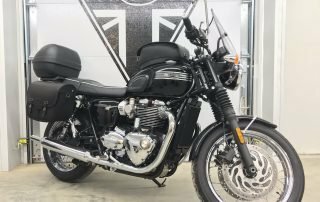 Jet Black Beauty with all the comfort goodies! 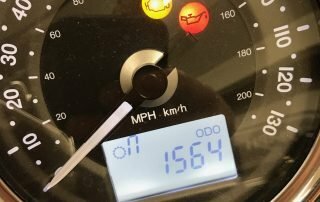 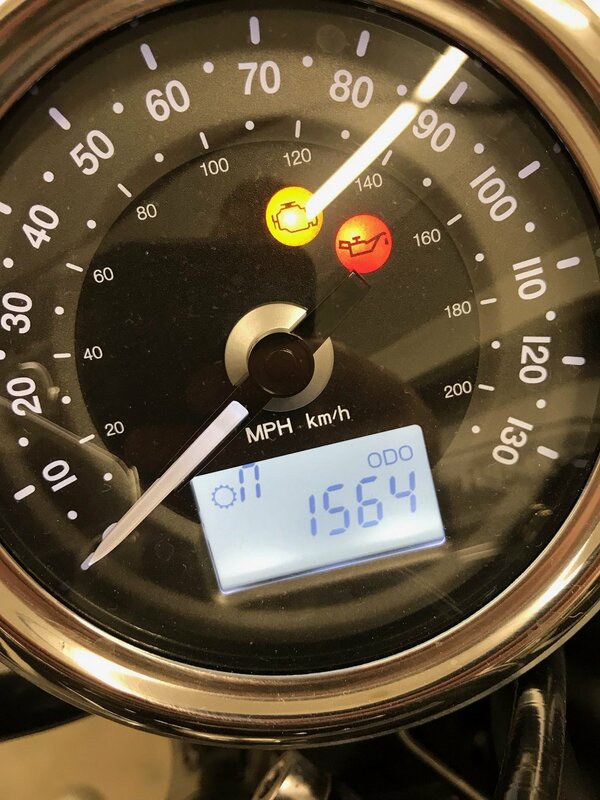 Very low miles, first service performed and flawless! 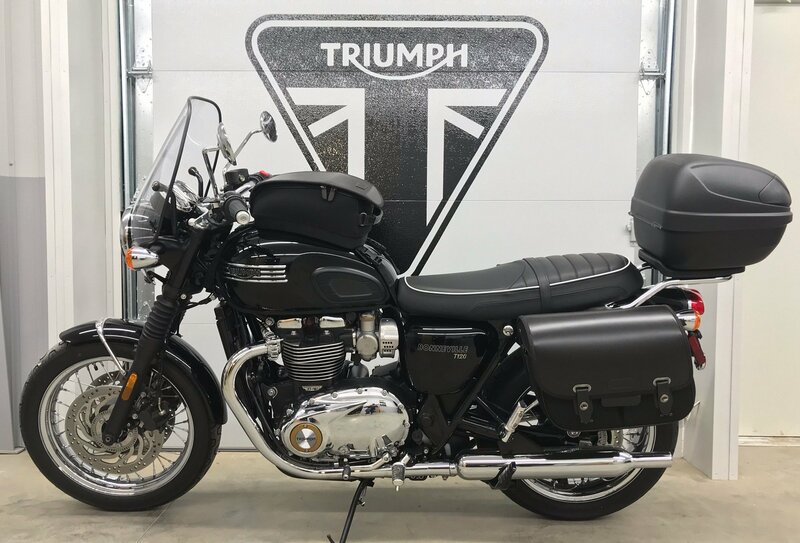 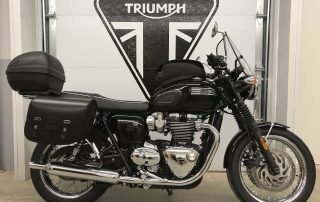 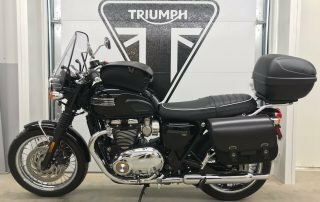 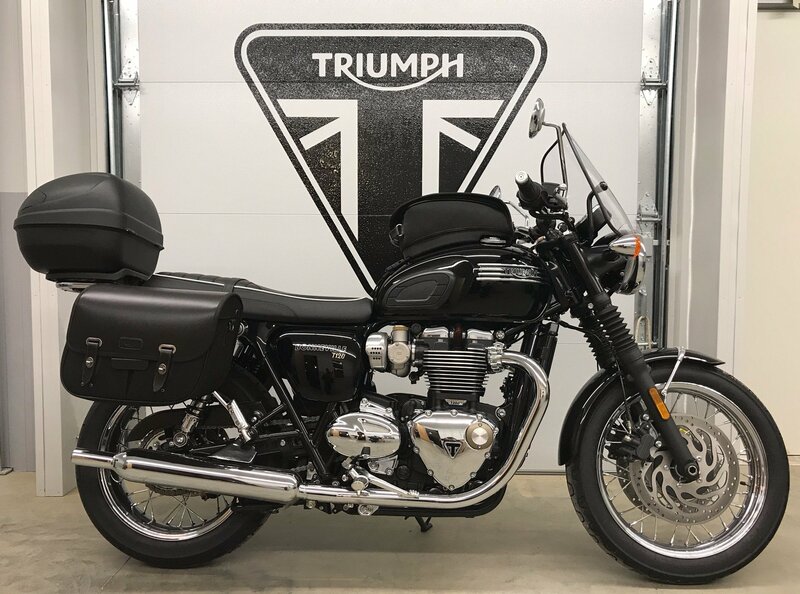 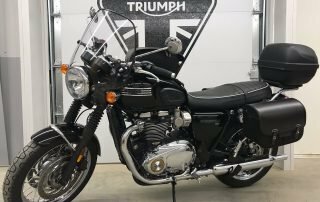 A bargain including electronic cruise control, touring windshield, waxed cotton panniers and tank bag, luggage rack and lockable/removable trunk, black gummy barrel grips, chrome engine covers and sprocket cover, and Triumph tri-bar classic badges. 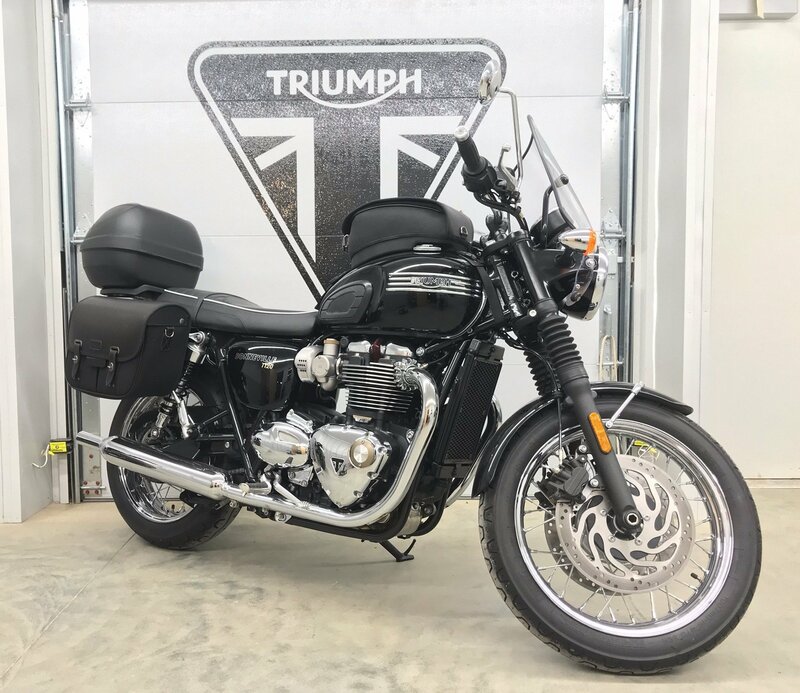 Looking for a go-anywhere Bonnie that will take you there and back in style? 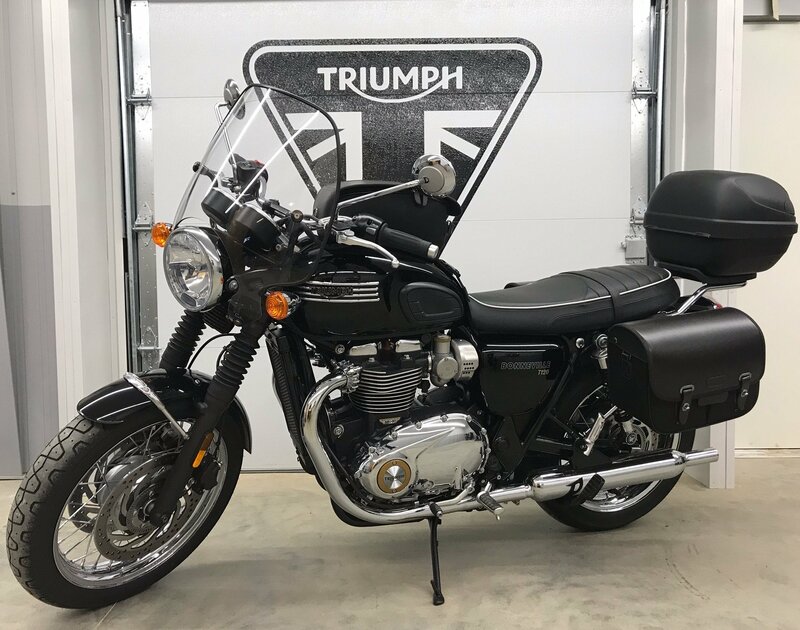 Here it is, ready to ride!